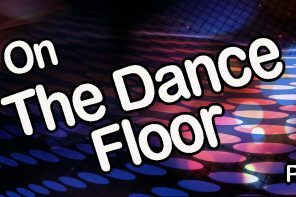 Introducing On The Dance Floor, the new podcast for social dancers by social dancers. SDC contributor Roberto R. talks to Brian B. from West Coast Swing Online about a variety of topics concerning social dancing. Brian has been a professional dance instructor for twenty years. He complements the talk with technical information and notes from teaching in the US and other countries, while Roberto makes a few observations from his own involvement in the social dance scene. On The Dance Floor is a podcast designed for dancers looking for tips and pointers to improve quicker and enhance their experience. In the first episode, Brian gives 7 Tips on how to get more social dances. All these tips are based on comments and questions that Brian’s own students have asked him, adding a characteristic professional opinion to each topic. While this episode is geared towards beginners, intermediate and advanced dancers may pick-up a few pointers as well. Perhaps any of you have additional information you’d like to share? If so, let us know! Leave a comment in the section below or send us an e-mail. The links are also below. 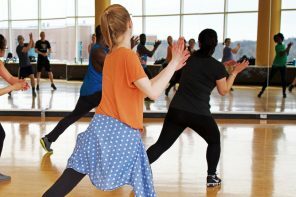 And if you need even more tips and advice on how to get more social dances, check out this article by SDC contributor Chilly Alisar. “The History of West Coast Swing” – An interview with dance historian Forrest Outman by Brian B. “A Brief History of West Coast Swing” – A three part video series of WCS from its origins to today’s influences by Roberto R.
“5 Tips to Remember your Patterns” – A blog article by Brian B on how to effectively remember dance patterns.